The Earth is like a chocolate-covered cherry. A bit bigger and harder to eat in one bite, but there are similarities. Like a cherry, the core is solid, but floats in a liquid. Next comes a thick layer of creamy fondant (in the candy) or mantle (in the Earth). Top this with a thin layer of crusty chocolate or crusty crust. Understanding the layers has been a slow process of earth-awareness. It was long obvious that the surface is solid and volcanoes suggested that something runny lies just beneath. Perhaps the biggest breakthrough in understanding the planet came from Sir William Gilbert who used magnetism experiments to figure out that the Earth has an iron core. That was around 1600 and not much happened for 300 years, as far as discoveries about the layers beneath our feet are concerned. One of the first modern advances in understanding the Earth’s structure came in 1914. Beno Gutenberg, a German-born American, used the travel paths of earthquake shock waves to deduce that the center of the Earth is liquid. Earthquakes send seismic waves along the crustal surface – these, of course, knock down cows and houses. But at the same moment, two types of seismic energy (shear and pressure waves) travel downwards and pass through the Earth, emerging at distant parts of the globe. When they do, shear waves skirt a huge section of the inner Earth. They seem to disappear, causing a shadow zone on the opposite side of the planet. Gutenberg realized that the ripping, sideways-shaking shear waves would not pass through a liquid. He proposed, therefore, that the core of the Earth was a fluid. He was about half right. Gutenberg’s discovery matched the 1914 data he worked with, but within a few years newer data made his hypothesis less sound. He had calculated a large, totally liquid core, but soon, seismic data from advanced seismometers didn’t quite fit the model. Although the shear waves were certainly missing, some of the pressure waves that passed through the core were emerging at unexpected places on the surface. 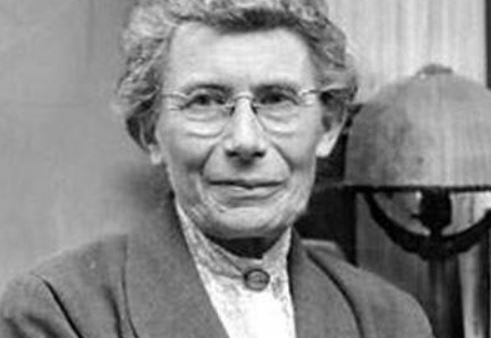 A remarkable Danish geophysicist, Inge Lehmann, fixed the discrepancy by theorizing that there are two different parts to the liquid ball which Gutenberg had imagined. 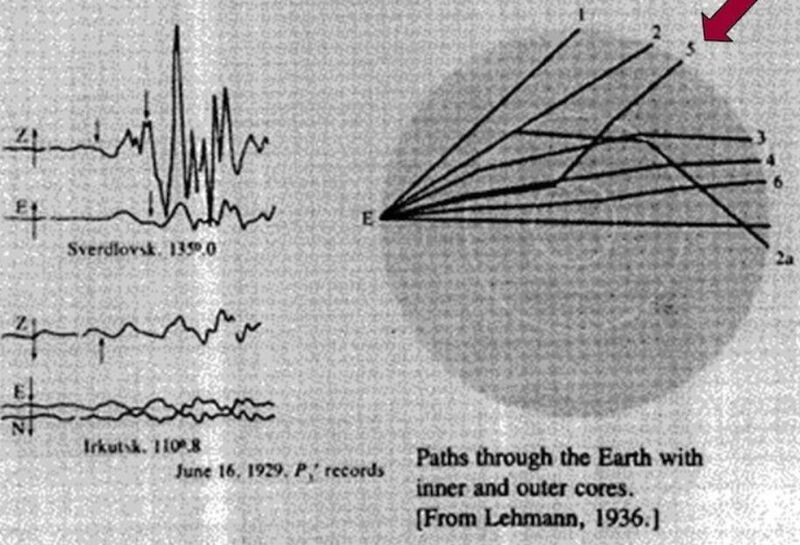 An inner core was deflecting some of the seismic energy, allowing it to appear as the shadowy signals found on more modern records. She was right. Today is the 127th anniversary of Inge Lehmann’s birth. In 1936, at age 48, Lehmann made the discovery that the Earth’s center was not one homogenous ball of fluid. There are both inner and outer cores. Lehmann’s father was an experimental psychologist who placed Inge in a progressive school run by Hannah Adler, the aunt of Nobel-winning physicist Neils Bohr. Lehmann credited her math and science skills, her creativity, and her perseverance to Hannah Adler’s gymnasium and to her father’s encouragement. She studied mathematics in her hometown at the University of Copenhagen, then attended Cambridge in 1910, at age 22. Soon she was mentally exhausted and left school to work at an insurance office for a few years, calculating actuary tables and premiums. Seven years later, she returned to Cambridge and completed her math and physics degree. With this, she returned to Copenhagen to assist a professor of actuary mathematics, but then she returned to work at another actuary office. It would have been easy to expect Lehmann’s career to linger in a back room insurance office forever. Expectations and opportunities were not great for a female mathematician in the 1920s. However, she found work as an assistant to the Danish mathematician Niels Nørlund. He placed her in charge of setting up seismological observatories in Denmark and Greenland. This was her first experience with seismic data, a field that demands clever math skills – which suited Lehmann very well. In 1928, she was accredited a doctorate in geodesy (the science of the Earth’s shape). Soon after, she accepted a position as Denmark’s state geodesist. She also headed the department of seismology at the Geodetical Institute of Denmark, which was led by Nørlund. The discovery of the Earth’s inner core was a perfect convergence of a brilliant mathematician, a collection of appropriate data, and the vexing puzzle of errors in the model of Gutenberg’s liquid-core Earth. The appropriate data was from the seismic records she herself gathered from the network of seismic observatories she had spent years developing. Some of the world’s nastiest earthquakes happen in the south Pacific, a location that should render their energy mute when it arrives at her stations in Denmark. But instead she found the sneaky seismic waves exactly where they should not be. At first, she suspected equipment failure. But then she had her great idea. Attributing the seismic energy’s travel path to a boundary or interface within the core did not come to her in an inspirational flash. She spent years agonizing over the data, drawing little diagrams on bits of cardboard, filling notebooks with calculations. The solution finally emerged in 1936. She published her discovery in a paper named for the pressure waves that bent at a boundary within the core – she called the paper P’ (possibly the most succinct title for any scientific paper, ever). 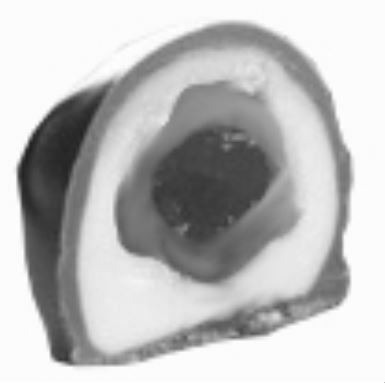 Just for clarity – and not to take anything away from her amazing discovery – Lehmann did not claim that the inner core was solid in her landmark paper. She just recognized that there are both inner and outer cores which create the boundary that bends P-waves. It wasn’t until 1940 that Francis Birch and others realized the inner core was solid. Her discovery and her P’ paper were almost immediately accepted by most of the world’s geophysicists. One can almost feel the pain of 1,000 facepalms when the other scientists saw her work. Like many of science’s greatest discoveries, it is retroactively self-evident. But it was Inge Lehmann’s brilliance that brought the obvious forward. Lehmann’s work was far from over. She continued running the seismic observatories and worked at the university. But World War II, the German occupation, and Denmark’s isolation restricted her research for years. She was finally eligible for a full professorship, but was turned down – more likely due to her age (she was 64 when the missed opportunity came) than her gender. So, in 1953, Lehmann crossed the Atlantic to work with the indefatigable Maurice Ewing at his huge Lamont Geological Observatory in New York. She worked there for a number of years, investigating the Earth’s crust and upper mantle. Almost 70 (she lived nearly 105 years), her work led to the discovery of yet another seismic discontinuity, but a much shallower one than her inner-outer core boundary. Lehman’s new boundary lies at depths between 190 and 250 kilometres. We call it the Lehmann discontinuity. It’s an interesting feature, but we aren’t really sure what it’s good for. The boundary is deeper than the better-known Mohorovičić discontinuity (upon which the crust glides), but the Lehmann hasn’t been associated with moving materials – not yet, anyway. There is a possibility that the Lehmann discontinuity is related to isolated plumes (such as Hawaii), but for now they are of a mysterious nature. 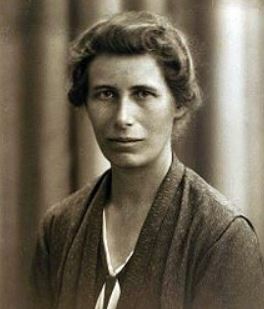 Geophysicist Francis Birch noted that her discovery of the shallower discontinuity involved tedious techniques “by a master of a black art for which no amount of computerization is likely to be a complete substitute.” As much as the inner functioning of the planet, a human mind such as Inge Lehmann’s is also a wonder of nature. She made both of her amazing discoveries through mathematics and reasoning, deducing phenomena that occurs in a hot, dark, inaccessible place which no one will ever visit, unveiling mysteries using little more than pen and paper. This entry was posted in Biography, History, How Geophysics Works and tagged Ewing, Gutenberg, Inge Lehmann, inner Earth, Lamont, seismic waves. Bookmark the permalink.